To improve water security to support resilient and stable economic growth in the Philippines. The Project is implemented in six focal areas: Basilan, Iloilo, Leyte, Maguindanao and Misamis Oriental Provinces and Tuguegarao City. At the national level, activities focus on strengthening water sector regulatory reform. For local and regional activities, the project works with local government units and water service providers at the watershed scale to improve capacities for integrating climate change into local planning and the provision of water supply and wastewater treatment services. Be Secure closely coordinates with the Government of the Philippines, both national and local government units, and other key counterparts including water service providers (public and private) and nongovernmental organizations. Be Secure also works in partnership with academic institutions as centers of excellence that can sustain project initiatives. 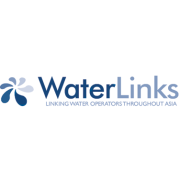 Established in 2008, WaterLinks is a regional network of water services operators, practitioners and development partners that supports WOPs in the Asia-Pacific region and catalyzes efficiency improvements to enhance and expand access to urban water and sanitation services. All WaterLinks activities draw on a range of partner resources and capabilities to achieve tangible results. To date, at least60 WOPs and several training programs under WaterLinks have led to more than 1 million urban residents having improved access to water and sanitation services; 100,000 low-income people with first time water supply and sanitation services; 2,500 operator staff trained; and $10 million leveraged by participating service providers in capital and capacity investments. In a WOP, a "mentor" partner works together with the "recipient" partner to identify and address a service delivery challenge through a 12-18 month partnership arrangement. Mentor partners are service providers with tested innovative solutions who are willing to share their knowledge according to their priorities and interests. Recipient partners are those seeking to learn and adopt new or improved practices to advance their services delivery. Partners typically formalize a partnership agreement and jointly develop a work plan detailing specific commitments, activities, resources, timelines and outcomes. Partnership activities include technical consultations, specialized on-the-job training, technology demonstrations, peer review of procedures and systems, and information exchange. Through the network, the WaterLinks Center links mentor and recipient partners according to their interests, capabilities and needs, and offers facilitation support to help implement partnership activities and meet targeted outcomes. To support WOPs, the WaterLinks Center facilitate the preparation and implementation of regional training programs and knowledge products (such as toolkits, manuals, and applied studies). To promote scale-up and replication, the WaterLinks Center disseminates good practices emerging through WOPs via publications, the WaterLinks website, and global, regional and national sector events. The WaterLinks Center also organizes regional networking events, including the Annual WaterLinks Forum, to share partnership results and facilitate new partnerships. Each year at the WaterLinks Forum, WaterLinks presents awards recognizing partnerships that excel in achieving service improvements. The range of our projects is as diverse as the world they serve. In delivering international development assistance, AECOM draws on the global excellence of its wide range of capabilities, including our renowned environment, transportation, water and engineering practices.